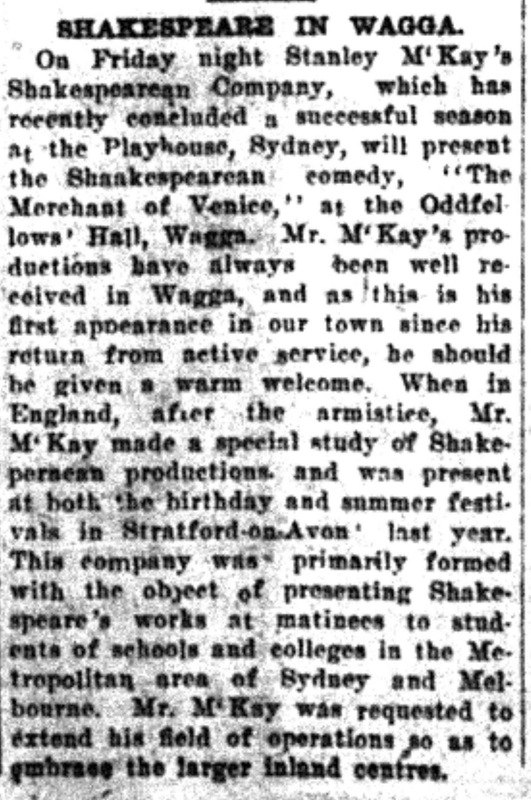 As this year is the 400th anniversary of Shakespeare’s death – and as Wagga Wagga has always had a strong interest in Shakespeare (and things literary in general) I thought I’d look at the stronghold of Shakespeare in Wagga Wagga – The Shakespeare Club. 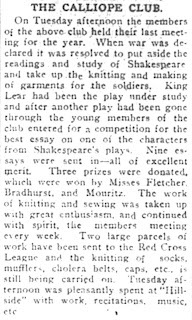 The Wagga Shakespeare Club started out as the Calliope Club, in 1904, and over the years there have been some changes to the name, and rules for the club, but overall the point of the club was to read, learn about and appreciate Shakespeare. The Shakespeare Ladies: A history of the Wagga Wagga Shakespeare Club by Jen Thompson, has one of the most evocative descriptions of early Wagga as an introduction to the story of the club’s formation. If you have ever tried to imagine early Wagga (and I have on many occasions) the book is worth reading for that description alone. 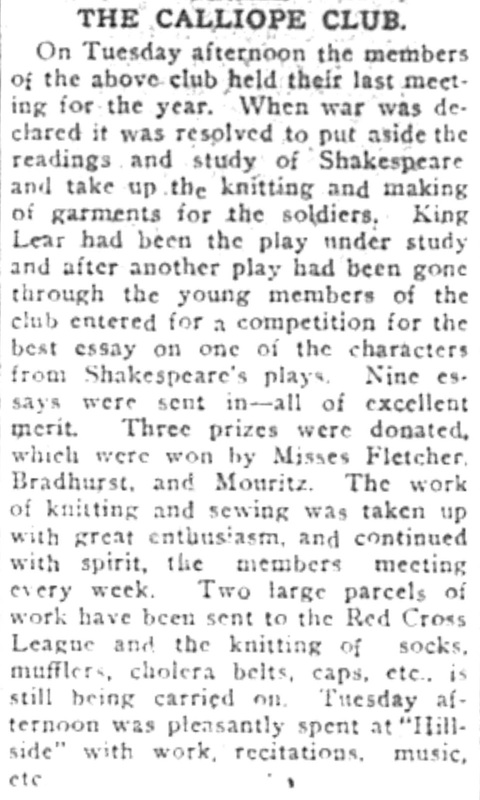 The club continued to meet during both world wars, adding tasks dedicated to help the war effort as well as reading Shakespeare to each other, meeting in members’ homes, bringing food to share along with the plays. 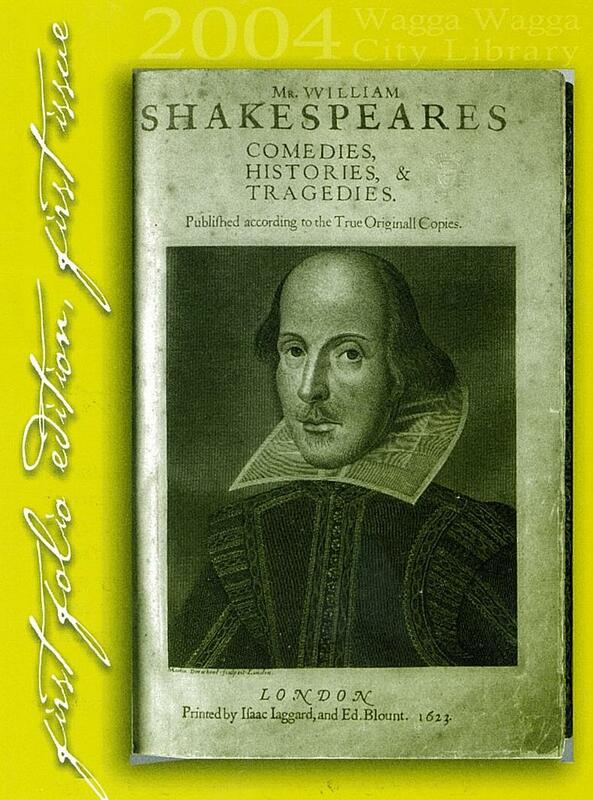 In 2004 the Wagga Wagga City Library hosted a New South Wales State Library first folio edition of Shakespeare’s works, with John Bell, of Bell Shakespeare, opening the exhibition. The Wagga Wagga Shakespeare Club continues to meet, in the Community Learning Space in the library. Wagga Wagga City Library has a copy of The Shakespeare Ladies for loan, and extra copies in the local studies collection that can be read within the library. 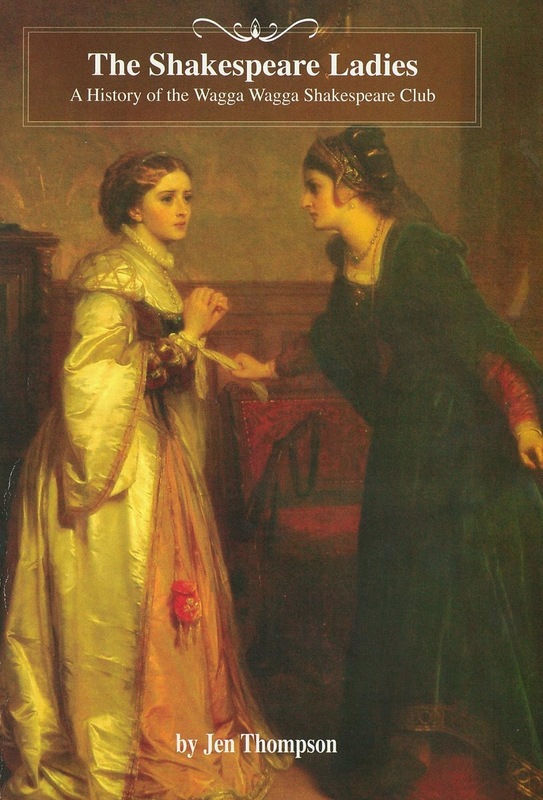 We also have an extensive Shakespeare collection you can borrow, including audio, so if you are inspired to re-read or maybe dip in for the first time, or listen to full dramatic productions of the plays, or watch the latest BBC production of Macbeth, come in and ask the friendly staff how you can access this amazing collection. The library also has some beautiful bookmarks to give away, from the New South Wales State Library, featuring the stained glass windows in their Shakespeare Room, which depict the seven ages of man from the “All the world’s a stage” speech from As you like it, so don’t forget to pick up your bookmark whilst stocking up on Shakespeare’s works. I couldn't agree more about the opening of this book. Great writing that really evokes the Wagga of the time. I borrowed the book from the library because I was intrigued by the longevity of the society and because I hoped to find a mention of my 1st cousin twice removed Armandine Thornber who belonged to the society in the 20s & 30s and was Treasurer for a time. She was married to the accountant of the Union Bank, Laurie Thornber and when he was promoted to manager of the Henty branch the family moved out of Wagga. I did find her, referred to as 'Mrs Laurence' (Laurence was her husband's given name). I am hooked now and will read the book to the end. As a newcomer to WW I love this blog as I have learnt so much about my new home from the posts.